A recent development in hi-tech, natural relaxation therapy virtually guarantees deep relaxation during your dental treatment. By using a combination of sound (audio) therapy, cranial-electro stimulation with micro current, special nutriceuticals, and visual field blinders, your nervous system can be calmed in minutes, as never before. You can be certain to enter a deep meditative alpha brain state. The therapy is all natural, with no level of toxicity that anxiolytic agents, such as nitrous oxide or any of the Valium-related drugs, carry. Not to mention, there are no negative after-effects — only a nice, calm feeling that leaves you refreshed. The brain-calming nutriceuticals, combined with alpha wave-inducing micro current and binaural tones, rapidly bring you to a Zen-like state in a matter of minutes. Soft music with embedded tones creates a calm and safe feeling during a procedure, with its warm, low frequencies and ethereal harmonies. This combination has been thoroughly researched and is available to the dental public in so-equipped dental practices. 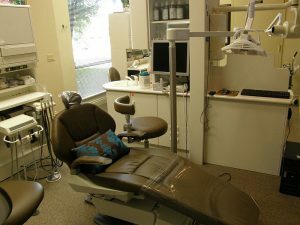 You can have what promises to be the best, most relaxed and pleasurable dental experience possible. Other good news as a result of this wonderful combination of technologies is that stress hormone levels drop precipitously. Your cortisol level drops, and your whole physiology shifts gears. With the calmness that ensures, you will notice a sharper focus and a keener mind when under pressure.